John MOuse returns to the Moon with his full band playing tracks from his last release 'Replica Figures and some new material. 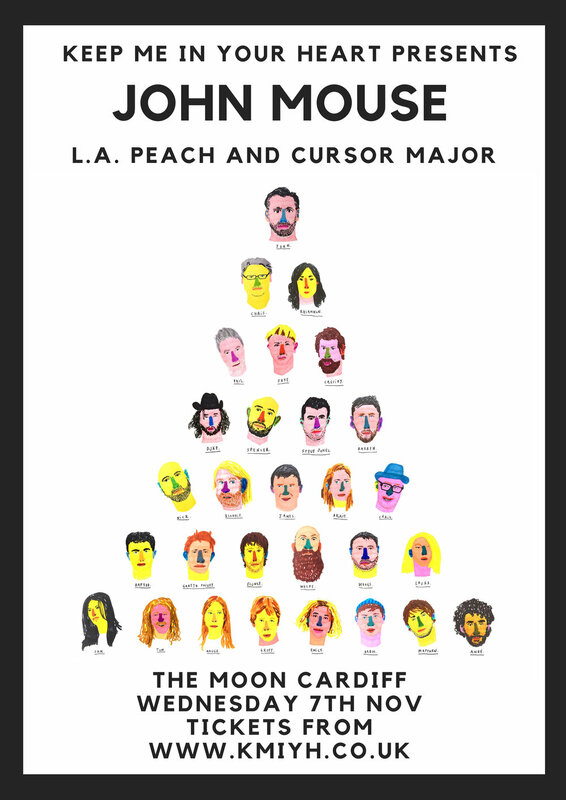 Support will come from Welsh expatriate L.A. PEACH and Cursor Major featuring ex Crimea guitarist. Tickets will be available shortly from the Keep Me In Your Heart website.